Elisa Marina Alvarado is battling. 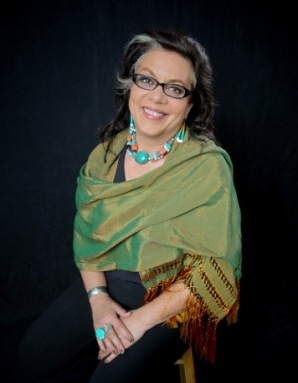 One of the founding members and the longtime artistic director of San Jose’s Teatro Vision, Alvarado suffered a stroke more than a week ago when vacationing with her family in New Mexico. According to a statement posted on Teatro Vision’s website, board president Peter Allen stated that Alvarado’s recovery could take weeks or months. As of the last update, she is still in the intensive care unit; However, she is conscious and communicating with her family, and doctors don’t believe there has been any permanent physical or mental damage. My first dealings with Alvarado were in the mid-1990’s at an audition. Since that time we have communicated many times through various auditions, meetings and interviews for my website. And of all the people I have met throughout my career, there are few that possess her warmth and passion, a woman with a heart of gold and smile to match. She has had a huge effect on the Bay Area theatre landscape, and the South Bay company has been responsible for giving many immensely talented Latinos and others opportunities that do not exist in many other places. In honor of Alvarado, Teatro Vision is organizing a blessing and prayer circle this Friday night, Aug. 10th at 7 pm in the Palm Grove at the Mexican HeritagePlaza. Organizers are encouraging anyone who participates to bring anything they would like to share for an altar or blessing. For more information, visit Teatro Vision’s official website and Facebook page.